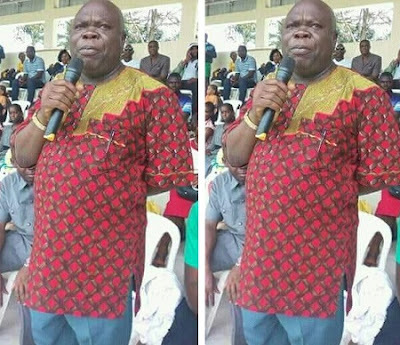 A chieftain of the All Progressives Congress, Bayelsa State chapter, Chief Lionel Jonathan-Omo, is dead. Jonathan-Omo, the Deputy Campaign Director General of Sylva/Igiri Campaign Organisation during the 2016 governorship election in the state reportedly had a fatal fall from the balcony of his two-storey building in his country home in Beleu-Pogo in Ogbolomabiri, Nembe Local Government Area of the state. He was said to be relaxing on the balcony when he started feeling dizzy. He was trying to get up with the aid of a pillar close to him when he fell off the two-storey building. Close associates revealed that the fatal fall from the balcony was discovered by his wife after hearing the sound from the kitchen. He was immediately rushed to a hospital in the state where doctors were said to have advised that he be taken to the University of Port Harcourt Teaching Hospital in Rivers State. It was learnt that the deceased was operated upon when he was rushed to the UPTH but did not survive the operation.